” World Consumer Rights Day – Digital Business is Future of Retail ” – March 15, 2017. 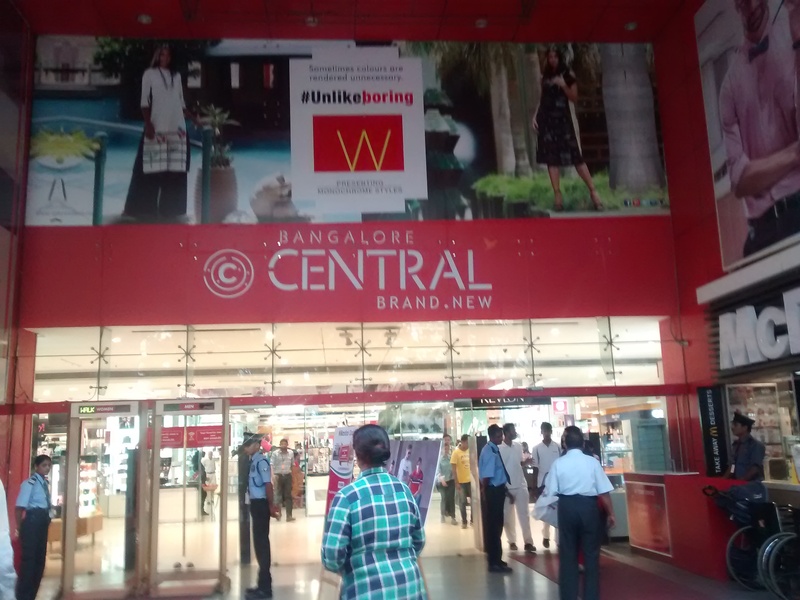 A mall in Bangalore, India, – shrinking crowds. March 15 marks the ‘World Consumer Rights Day’. Access to knowledge for consumers, and promoting the basic rights of consumers are the chief goals. Rather than writing something about the rights of consumers here, I want to briefly say something cutting boon whids to the consumers in terms of the tectonic change that will consume their hearts and minds filled with joy in the not so distant future. Information, education, and practice are the guiding features in this piece. My e:mail in box has been bombarded with “Great Offers; Exciting Deals; Quality Products Delivered Fast; On-line Sessions;” from amazon India, flipkart, snapdeal and the likes signalling renewed growth of ‘on-line business’ including e:commerce. This is the future of Retail whether one wishes or not. From $30 billion in 2016 to $ 120 billion in 2020 is the projected growth in India. The 400 million existing internet users of today is expected to witness an increase of 25 million every year. On-line retail is the Gen Y ( is it Gen Z now ) attraction and core buying activities, specially in the age group between 15 and 34 – both males and females. About 2.5 lakh jobs is the growth stat for this year. 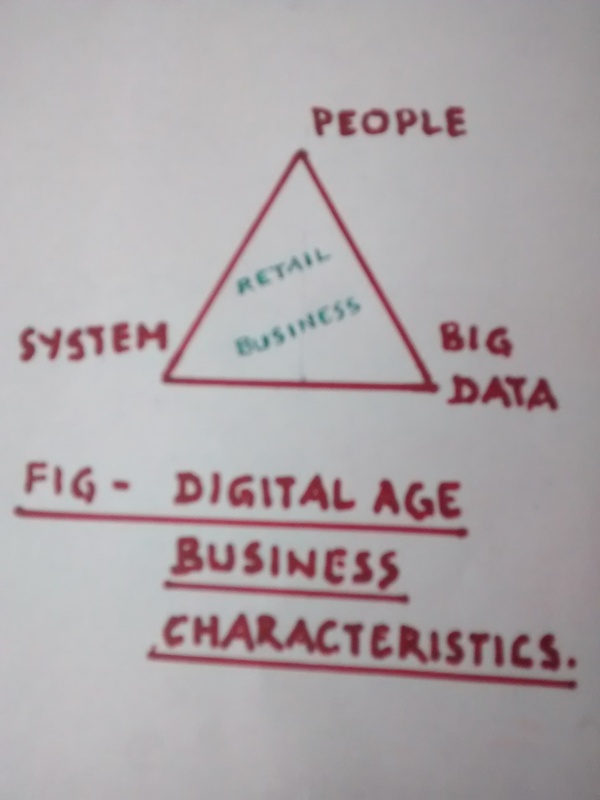 With the strong digital push given by the Indian leader(s), a new era and vista of business culture with new “Systems”, ” Big Data”, and “People” as the Figure below depicts in this new age is already sweeping the retail landscape in ways unimagined just 5 years ago. Technology trends and people will be more important than before in this scenario. Business organisations transform themselves into ‘on-demand enterprises’ bringing about a dramatic change in the “models” concomitant with organisational change and innovation required to match the aspirations of the new generation on-line shoppers. Traditional brick and mortar entities and even malls are deeply threatened. If it was ‘Capital, Labor, & Machine’ that constituted the three legged stool of business in the industrial era, it is the ‘Capital, Labor, & tech trend in terms of Artificial Intelligence (AI)’ that constitute the three legged stool of Digital Business now. Capital as resource and efficiency enhancer; Labor with focus on adding value to products/services; and AI with focus on Big Data analytics for generation of higher value and enabler of Business is the new model now. AI is the new face of Digital Business of future as determining, guiding, and smoothening of the learning interface that is vital. Stanford University originated “Design Thinking/Approach” is becoming the key methodology in improving the effectiveness of tech solutions and the quality of experience of customers and empowerment of sales employees. 3. More than 80% recognize project processes to play a key role in Digital Business with the pace of tech growing at an unprecedented rate in the next 3 to 5 years. Accompanying the changes in business processes will be the external factors in terms of “Standards of Technology, Ethics of Business, Governmental Regulations,” shaping and governing the Digital operatives. Being good at ‘Design Thinking/Approach’ and ‘AI’ will what set any digital enterprise apart, and hold the esteem, trust, and PROFITS. Examples are reserved for ‘discussion’ and hence not cited here. Whether it is the Industrial Era Business or the Digital Era Business, the common thread linking the processes is still : “People First, and Customer is King”. This dictum will endure. Tidbit : ” Consumers by definition include us all; They are the largest group, affecting and affected by almost every public and private economic decision; Yet they are the only important group … …. whose views are not heard.” – John F Kennedy, March 15, 1962.